200 gr GameKing #2165 as was previously stated. 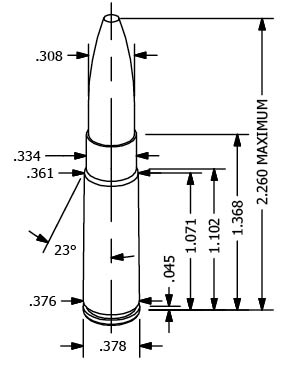 The 300 AAC Blackout (300 BLK, or 7.62x35mm) was created by Advanced Armament Corp. and Remington in order to provide the military with a way to shoot .30 caliber bullets from the M4 platform with only a barrel change. 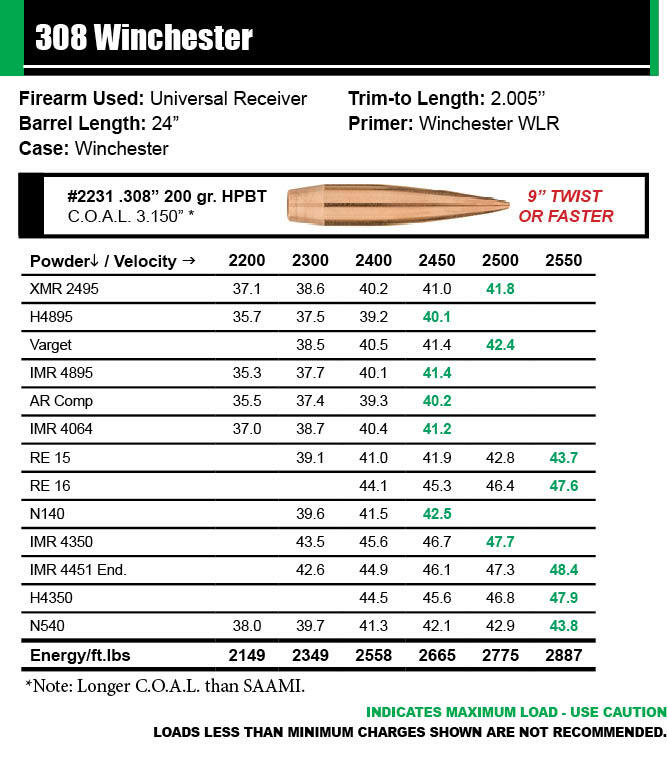 It has since become popular for a wide range of uses including hunting and home defense. 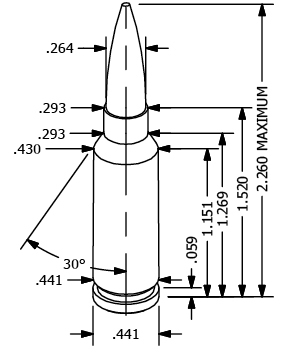 The cartridge shares case-head dimensions and body taper with the .223 Remington. 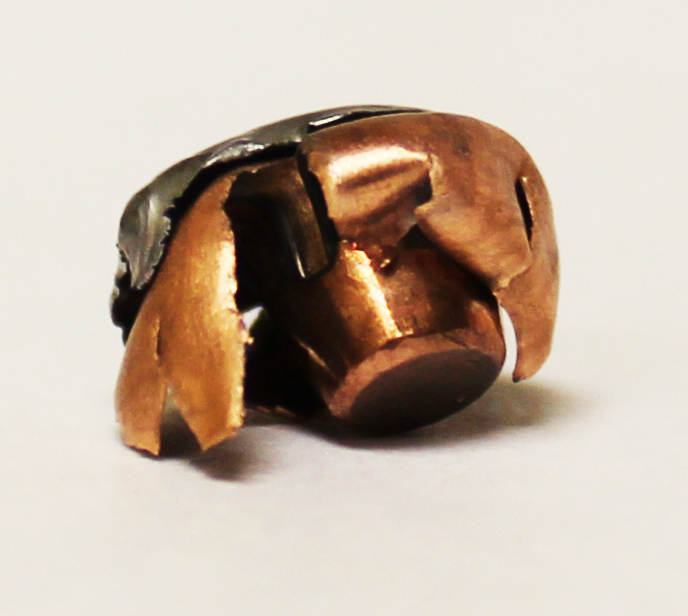 Not only does this allow for compatibility with existing magazines and bolts, but it allows reloaders to form their own brass from cut-down 5.56mm or .223 cases – ensuring brass supply even in the event of a shortage of factory brass. 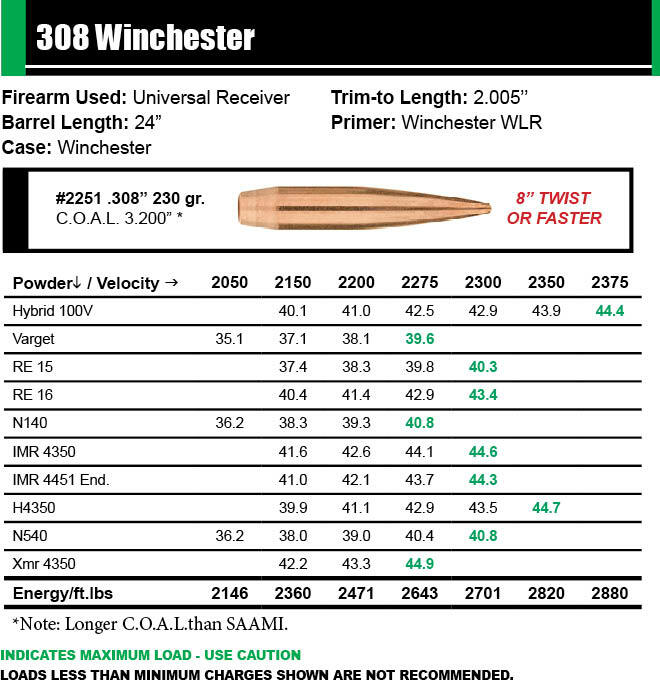 The 300 AAC Blackout is a similar concept to previous wildcats, such as the 30-221 and 300 Fireball, as well as the proprietary 300 Whisper®, except that 300 BLK was the first to be a SAAMI approved cartridge and any company is free to make firearms or ammunition. 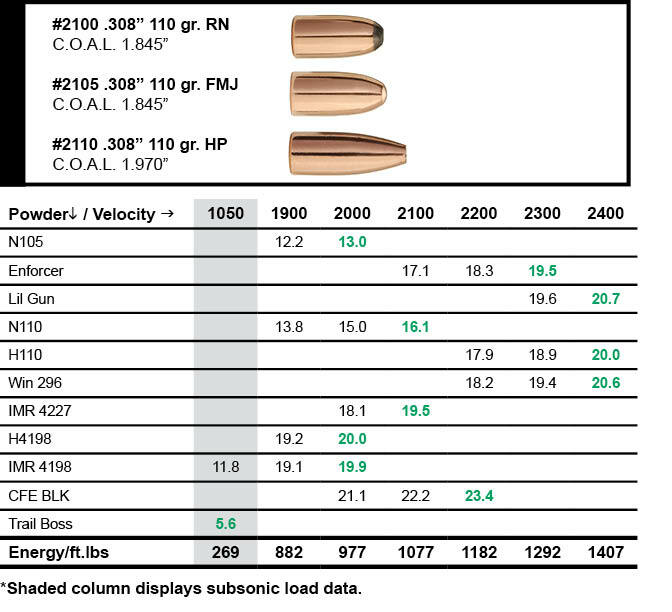 300 AAC Blackout is also finding use with hunters, who may not have been able to legally hunt with .223 in their state, and who prefer .30 caliber bullets for medium-sized game. 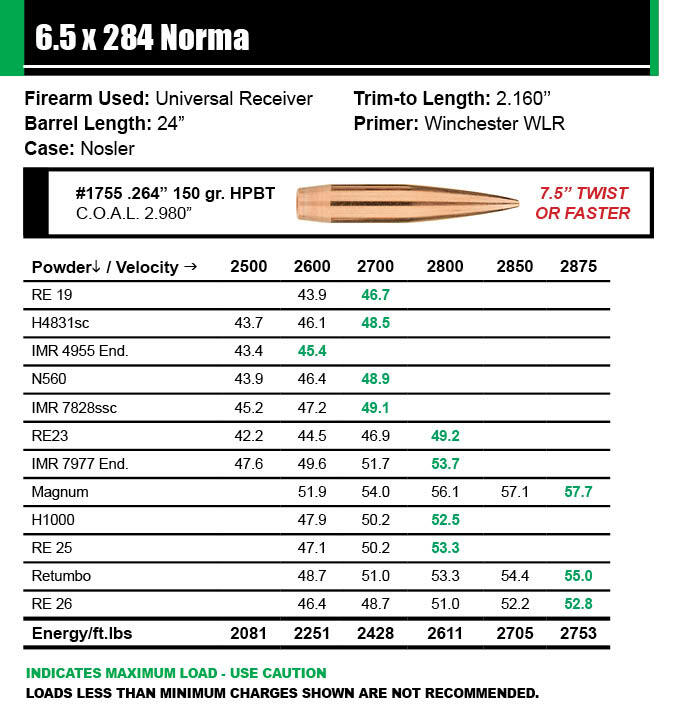 It provides similar effectiveness to the 7.62×39 or the slightly more powerful 30-30 cartridges except works in the more up-to-date AR15 platform. 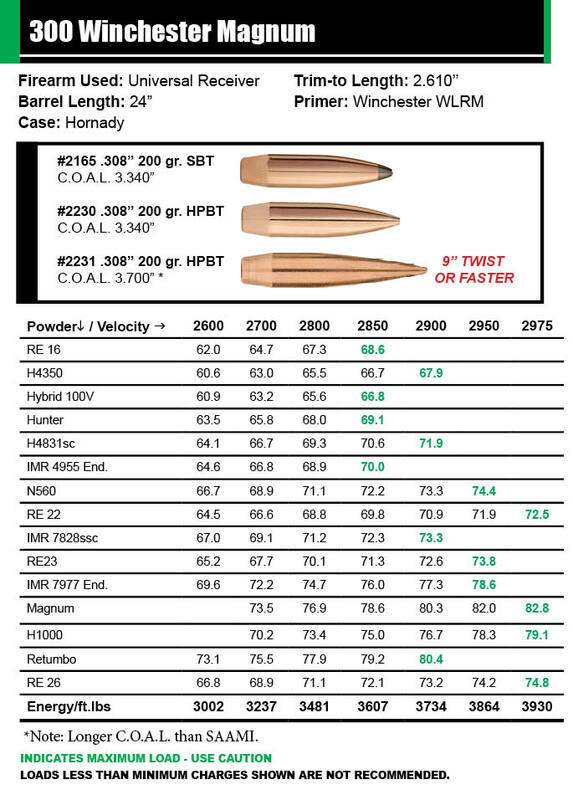 Effective range for hunting is about 100-150 yards. 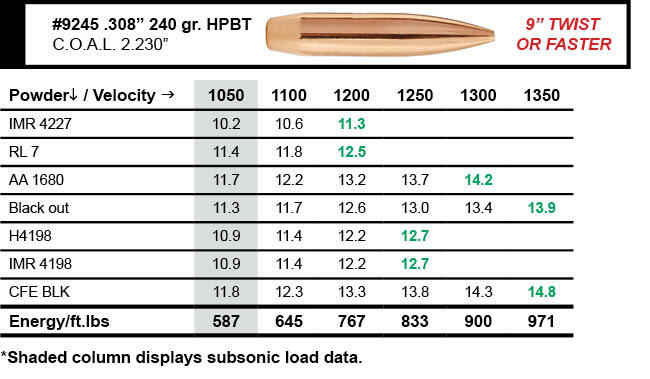 It was my understanding that Sierra’s 90gr HPBT GameKing #1615 was going to be the greatest thing since sliced bread in a 257 Roberts, and boy was that a correct statement! I was finally able to purchase a limited run Ruger 77 Hawkeye chambered in the 257 Roberts cartridge. The factory walnut stock is shaped to fit me like a glove so it points easy and the trigger is clean. This makes it an easy shooter and is more than likely the reason it has shown me the accuracy it has. The 4-12×40 scope is mounted as low as it can be without touching the barrel and has a simple duplex reticle, just like I like a hunting gun to have. It wasn’t going to be long before the 2017 deer season would be upon me so I had to work fast and find a combination it liked. 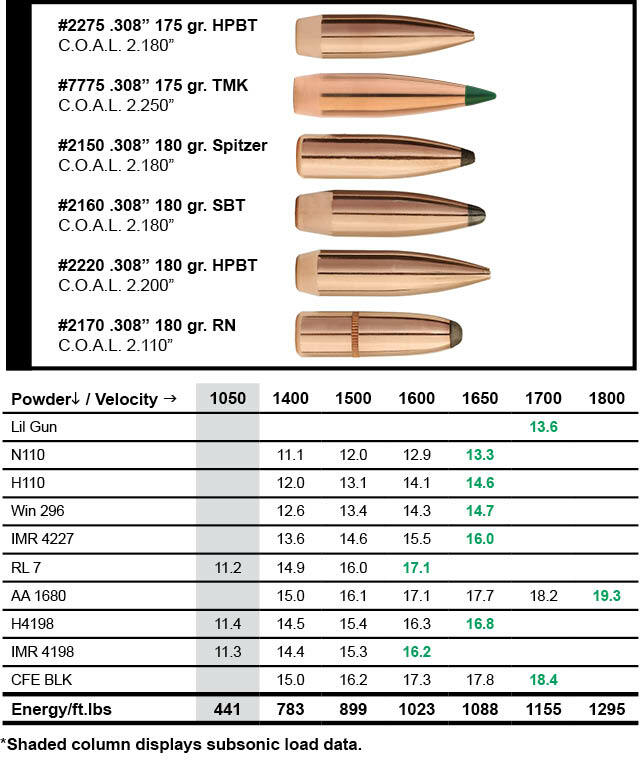 We offer many bullets in the 0.257” diameter that can be used for hunting and since whitetail was on the menu, I decided to stay with our 100gr bullets or lighter. 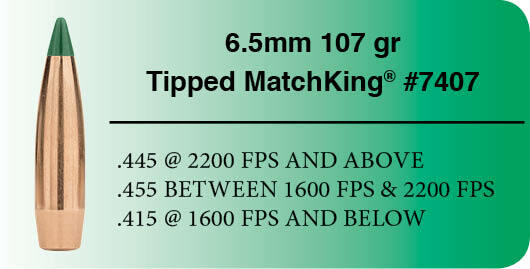 In my ladder testing, our #1615 90gr HPBT GameKing was an exceptional choice and it showed a preference to RE-15 powder. The charge it liked was only producing 2,900fps but the extreme spread was next to nothing and sometimes producing duplicated velocities for the first two shots from a cold barrel. By the way, those first two shots always touched at 100 yards and always right where the scope said they should be. I’ll save the rest of the accuracy reports and scope set up for another post but for now, I’ll share how the bullet performed on impact. I didn’t have time to make any reduced loads (for expansion at distance information) so I set up jugs at 100 yards and shot what I had. 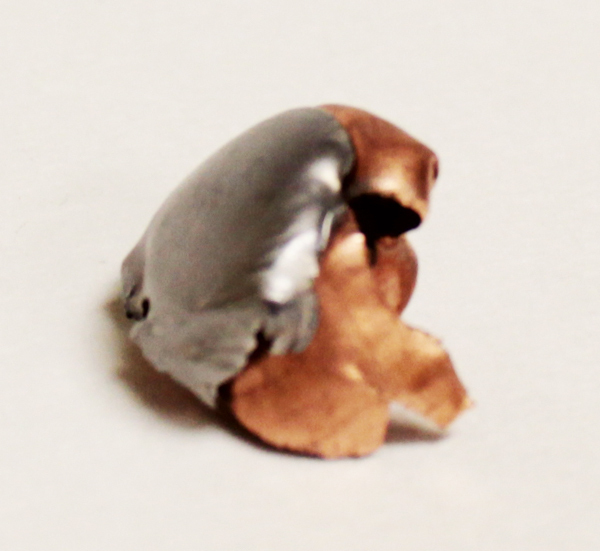 My calculations show this bullet impacted at 2,550fps and it has 52 grains (around 58%) left. I found it in the third jug so it stopped within eighteen inches of penetration and of the three, it was the only one that wasn’t completely obliterated. If I would have made contact with a whitetail in that initial outing, it would have proven to be extremely effective on a broadside shot. This is also going to be my go to coyote gun when it comes time for that so I may have other reports to share in the future. Till then, be safe and enjoy your shooting. 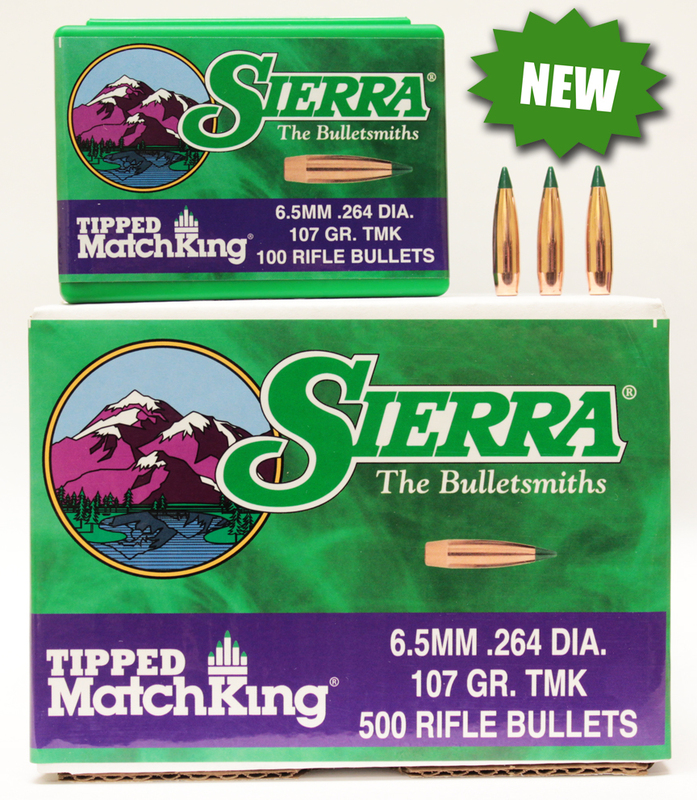 Sierra Bullets is proud to announce another addition to our popular Tipped MatchKing® line. In 2014, Sierra Bullets crowned the MatchKing® with an acetal resin tip that lowers the drag by improving the ballistic coefficient. 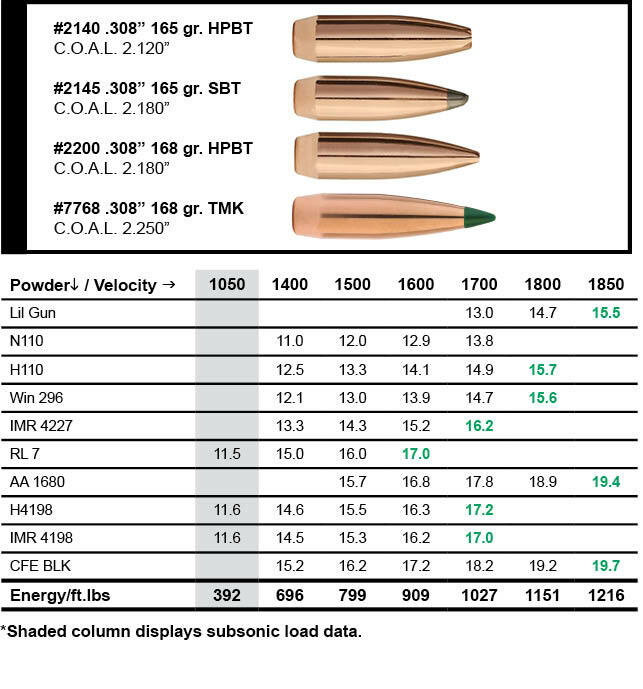 We continue to expand this extremely popular line by adding another 6.5mm option in 107 gr. 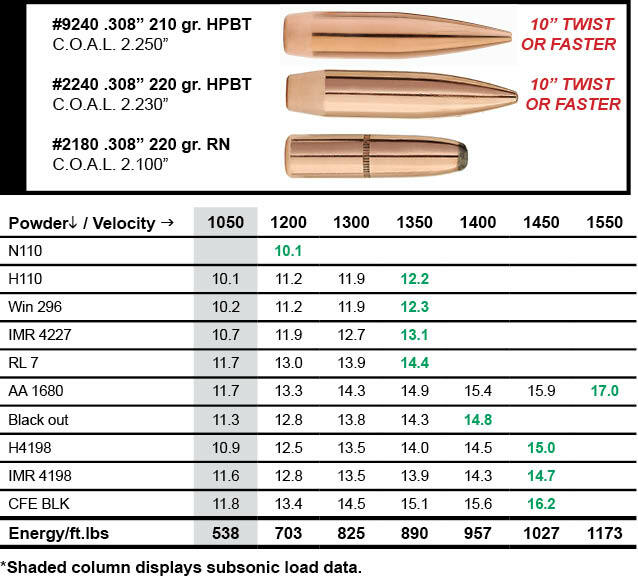 The new 6.5mm 107 grain Tipped MatchKing® bullets will be available in boxes of 500 bullets (#7407C) with a suggested retail of $205.07 per box and boxes of 100 bullet (#7407) with a suggested retail of $41.79 per box. 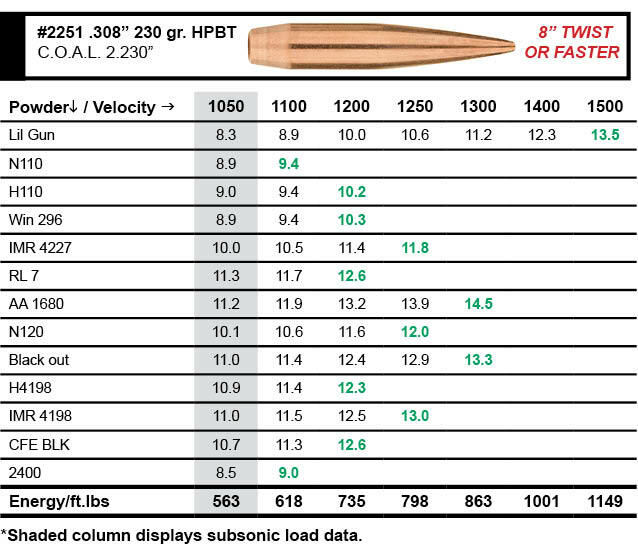 Click here for 6.5 Creedmoor load data for this bullet! 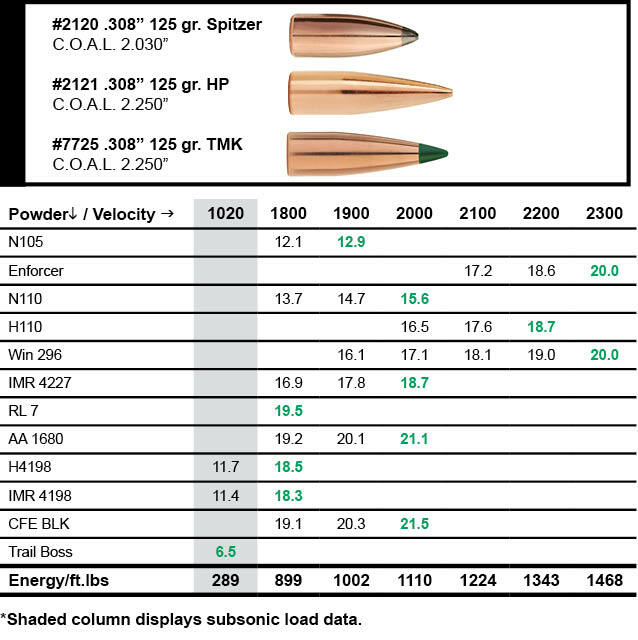 Click here for 6.5 Grendel load data for this bullet! Appearing on the scene in 2002, under the development of Alexander Arms, the 6.5 Grendel was a new AR 15 platform friendly cartridge. 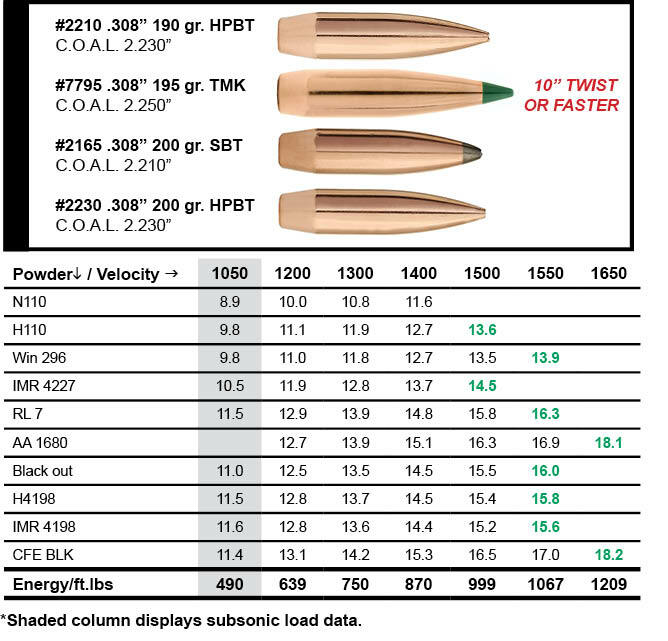 Having been developed from the PPC cartridges with greater case capacity than the 223, it was soon recognized as a cartridge with wide versatility. 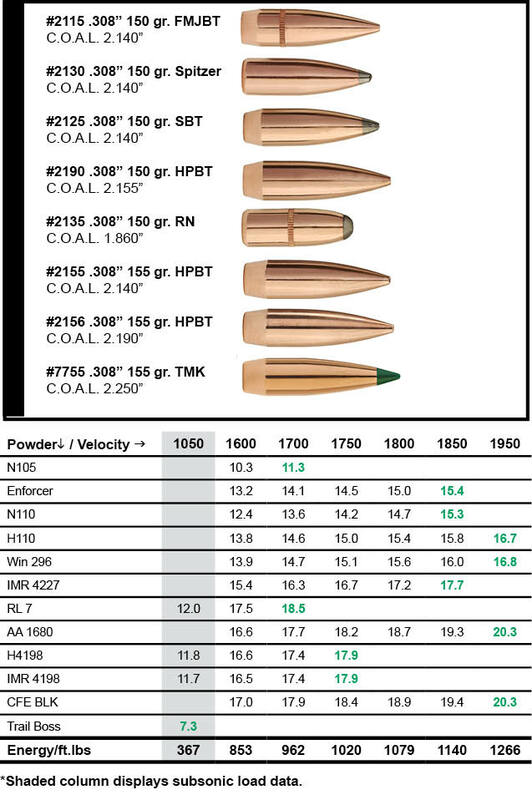 Quite useful for target shooting to 600 yards, it also performs very well on varmints at medium ranges. Naturally, hunters would also be attracted due to its light recoil along with plenty of velocity and energy to harvest deer and antelope. Accuracy has proven to be very good and lightweight short- action bolt rifles would work well for smaller statured shooters and those hunting in rugged terrain. 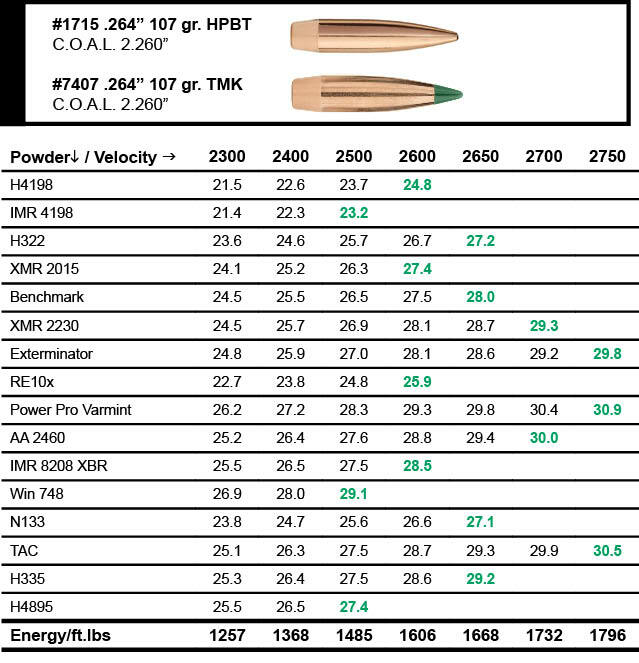 Versatile, efficient, and accurate all are fitting descriptions of the 6.5 Grendel. As I’ve mentioned before in previous blog posts, there is just something about old military surplus firearms that fascinates me. I think it’s probably that they are battle tested, rugged and reliable. 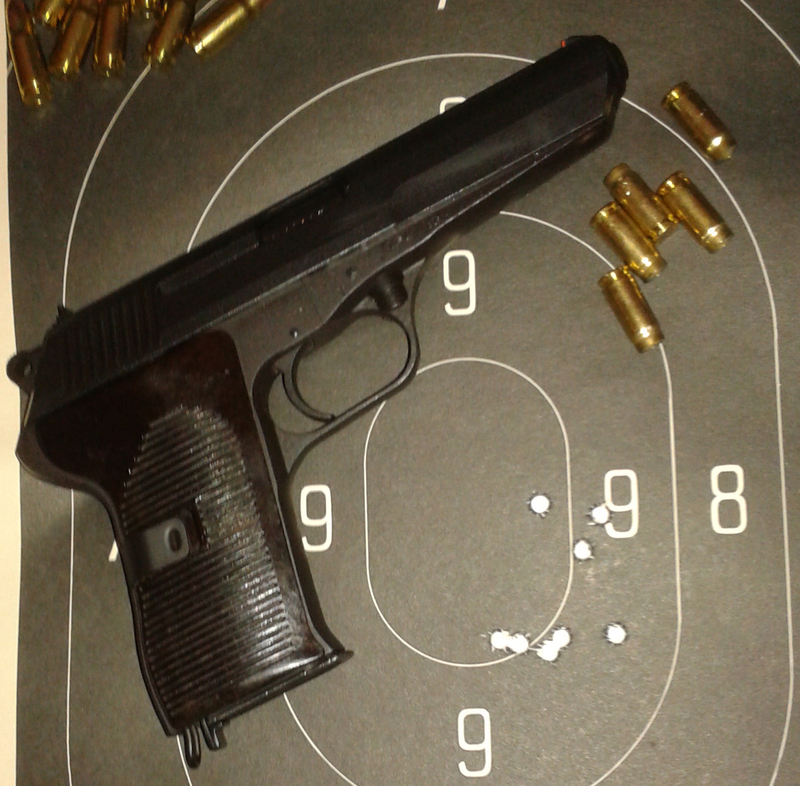 And the CZ-52 pistol is definitely no exception to that rule. The CZ-52 pistol went pretty much unheard of until the mid-to-late 1990’s, when thousands of them were released by the Czechoslovakian government for the U.S market. 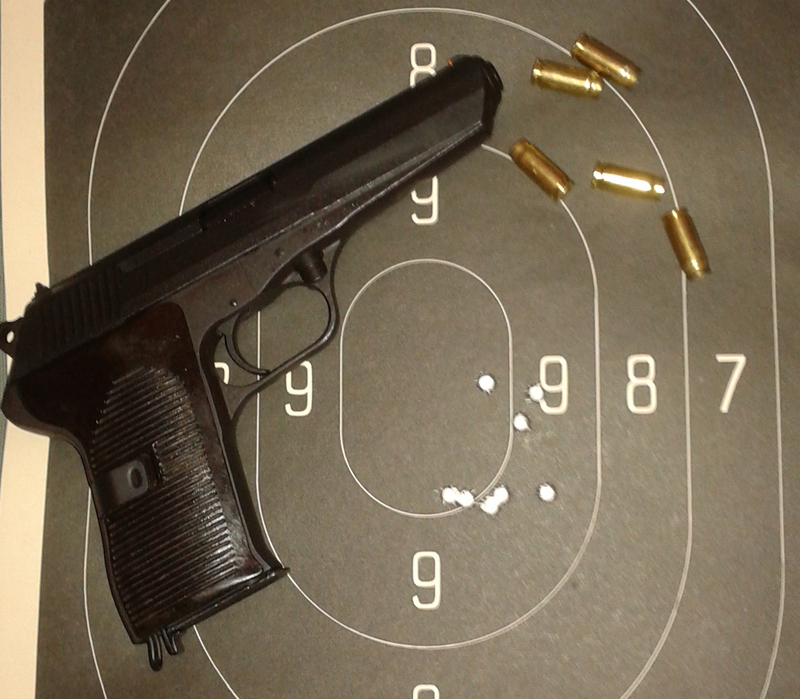 Approximately 200,000 CZ-52 pistols were made from 1952-1954. It served the Czechoslovak army for 30 years before being replaced in 1982, by the VZ-82 chambered in the 9×18 Makarov cartridge. I purchased mine in the late 90’s for $129.00, simply because it seemed well-made and was inexpensive. 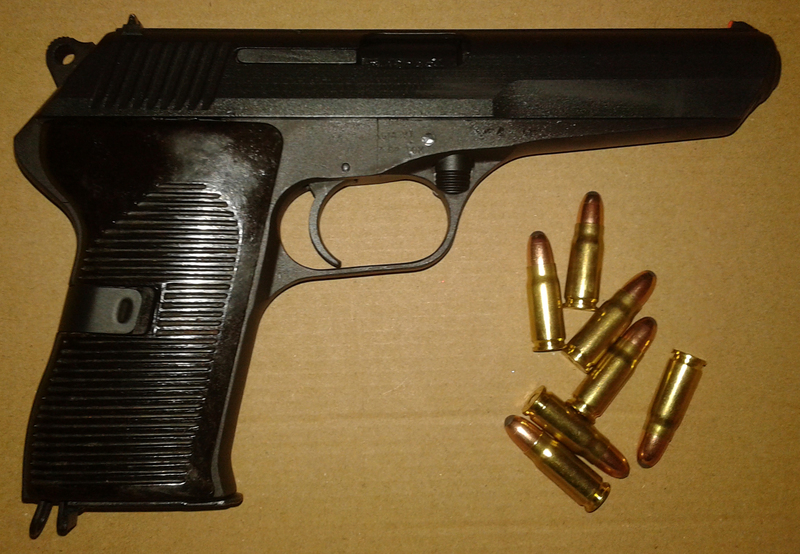 I never did any serious shooting with it and didn’t need to reload for it, because at the time I bought it, I purchased 2000 rounds of 7.62×25 Romanian surplus ammunition for it. The surplus ammo is stout to say the least, and accuracy with it is really nothing to write home about, not to mention it is mildly corrosive. But I would break it out on occasion, shoot a few soda cans with it, give it a good cleaning and tuck it back into the safe. A couple of weeks ago, I decided to try some handloads in it and see just how well it can actually shoot. I loaded up two different loads using the Sierra 85 grain RN SportsMaster #8005, Starline brass and Winchester WSP primers. 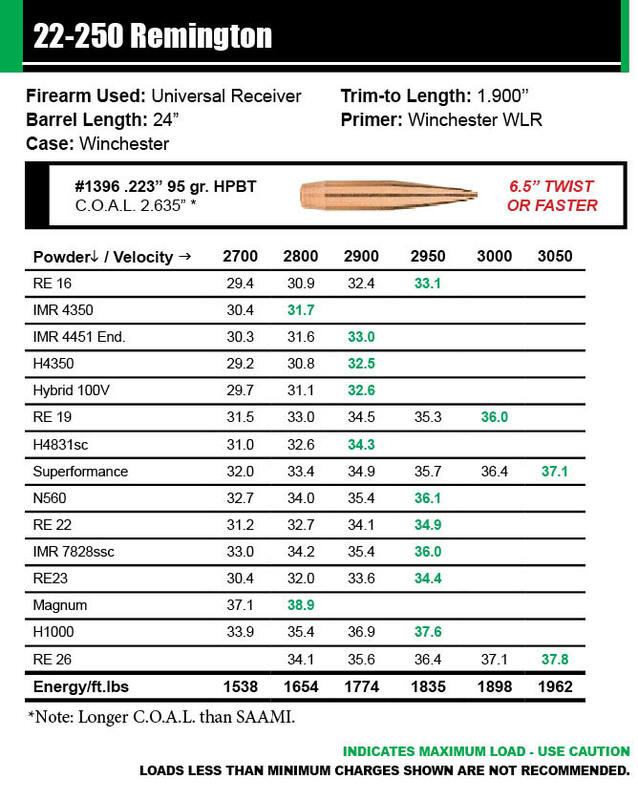 My two powder choices were Hodgdon HS-6 and Hi-Skor 800X. This last weekend I put approximately 150 of my handloads through it, without a single hiccup. The old CZ fed and functioned every single round. My only complaints about the pistol, is recoil is a little snappy, the sights leave a lot to be desired and honestly the trigger probably breaks at around 8 pounds. Other than that and the fact that I lost twenty some cases that were ejected into the next zip code, I was pretty impressed with how well it performed. 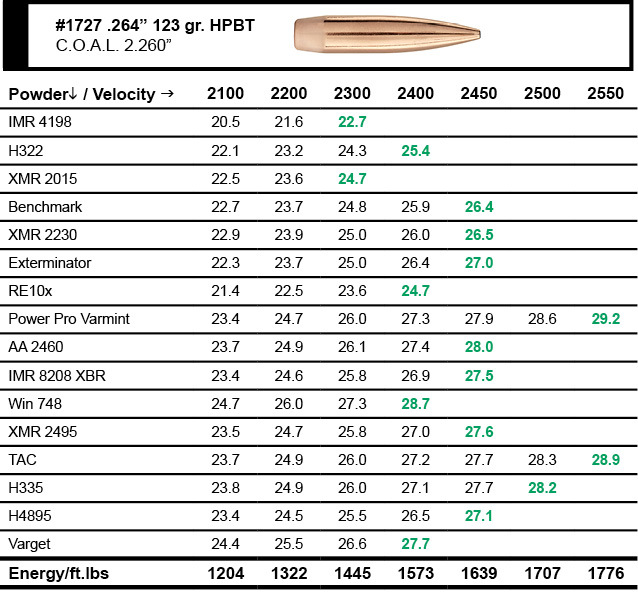 Shooting off of a bench at 25 yards it consistently held 3-4” groups, with the best group coming in a 3.067”. Off hand at 15 yards I was able to consistently shoot 2-3” groups, with the best coming in at 1.822”. You would be extremely lucky to find a CZ-52 pistol for $129.00 today. When you find one, they typically are asking between $300.00 and $400.00. 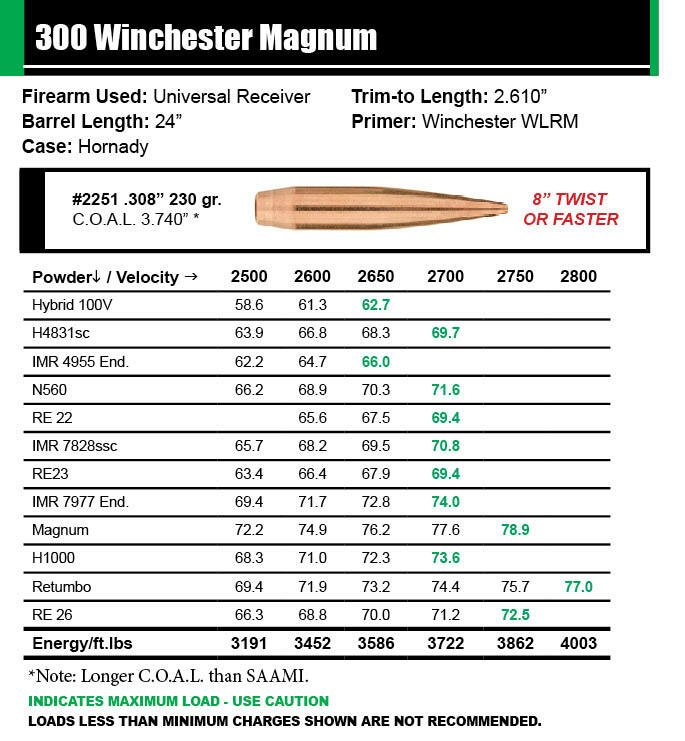 Even at that price I still think it is a good deal on a well-made, no-nonsense pistol. At Sierra Bullets we value your opinion and invite you to participate in a survey to help us provide you with even better products. 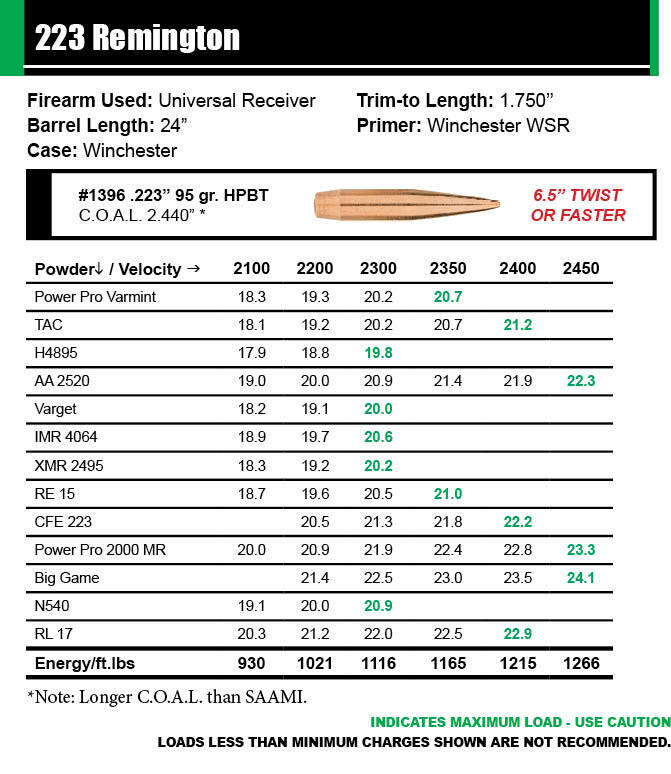 We will select 25 participants to receive a Sierra Bullets hat and one lucky winner of 1,000 bullets of their choice. * Once your completed survey is received, you will be contacted if you have won. Thank you in advance for sharing your thoughts! *NO PURCHASE NECESSARY TO ENTER OR WIN. A PURCHASE WILL NOT INCREASE CHANCES OF WINNING. Ends at 11:59:59 pm CT on 10/29/17. Some restrictions may apply, void where prohibited by law. Odds depend on # of eligible entries rec’d. ARV of hat: $10. ARV of bullets not to exceed $1,000. No cash value. Limit 1 entry per person regardless of # of eligible surveys completed.